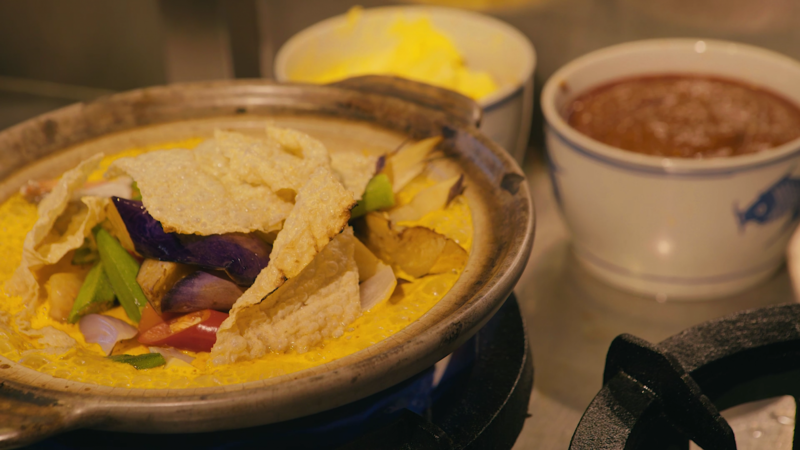 FOOD KING: TOP 3 CURRY PLACES TO VISIT!! C-U-R-R-Y, I eat curry all the time! Yes that’s right. 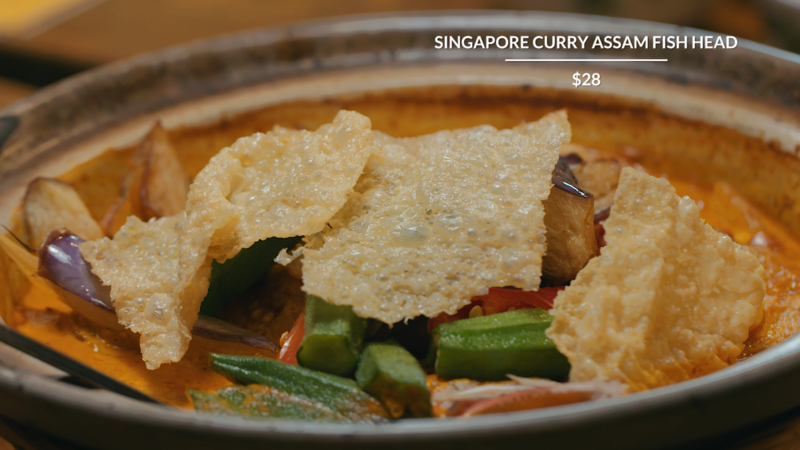 Today we are going to 3 different places to try Singapore’s favorite must-have signature dish: Chinese Curry. Golly, this week’s episode will blow your mind and make you dance silly! No wonder Aiken and gang is feeling the heat already. 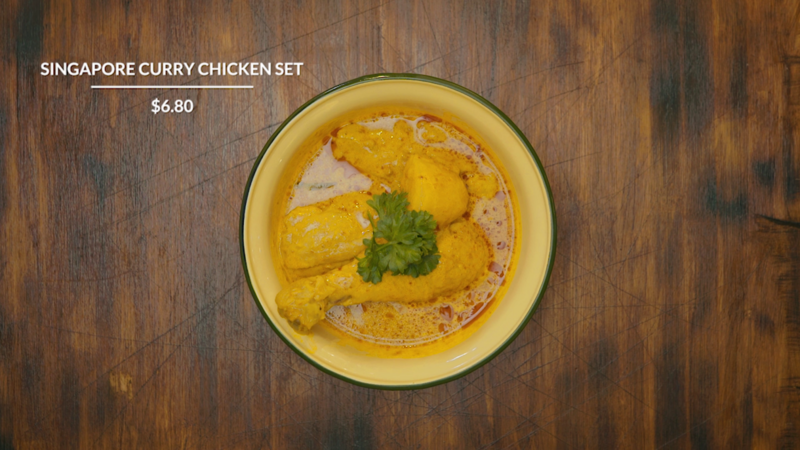 Let’s have a curry dance-off right now! Come on, groove it Ryan and Aiken! 1. 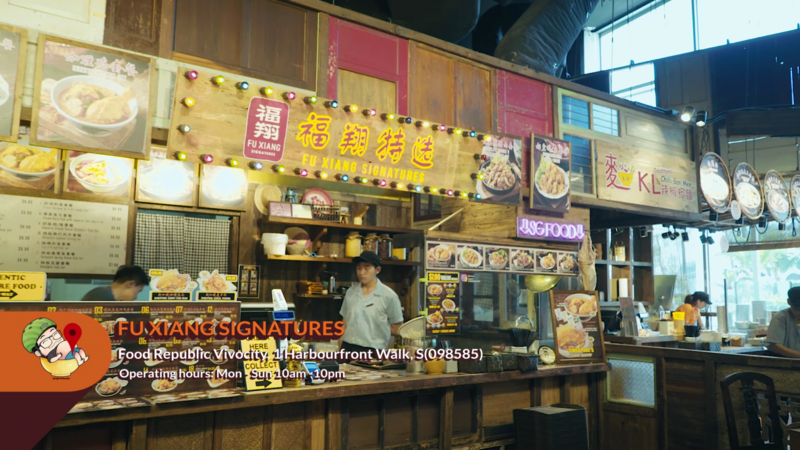 Here we are at Vivocity where we will be trying the curry dishes from Food Republic’s Fu Xiang Signatures. 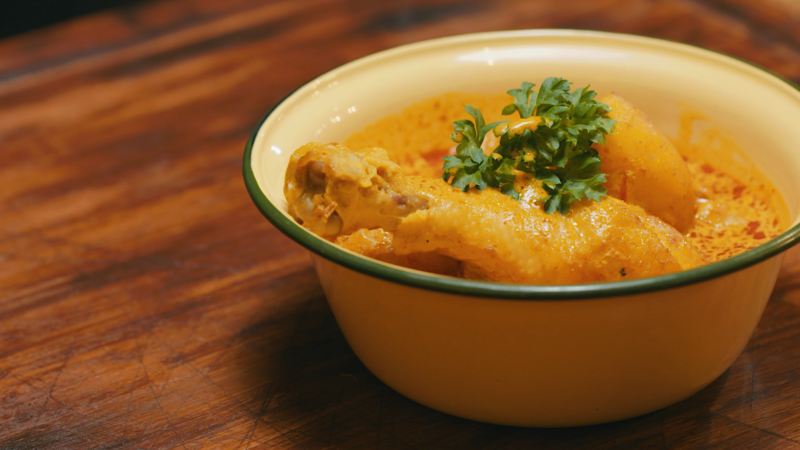 Fu Xiang have a long history for their famous chicken curry and we can’t wait to pleasure our palates for this one. Let’s go! What’s curry without the chicken in it! Exactly. 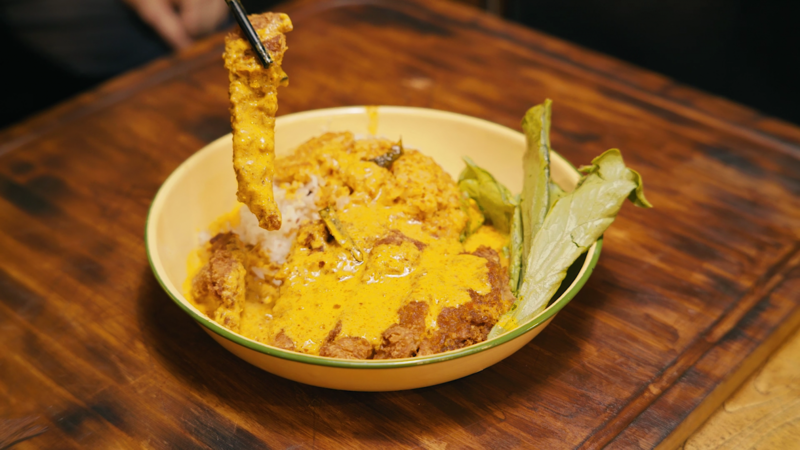 We are sinking in on Fu Xiang’s signature Chicken Curry and boy, is this lemak! That’s our first impression the moment we tasted the curry. Yes it is really good! Most of the Chinese curry we had before were either not spicy or too spicy. 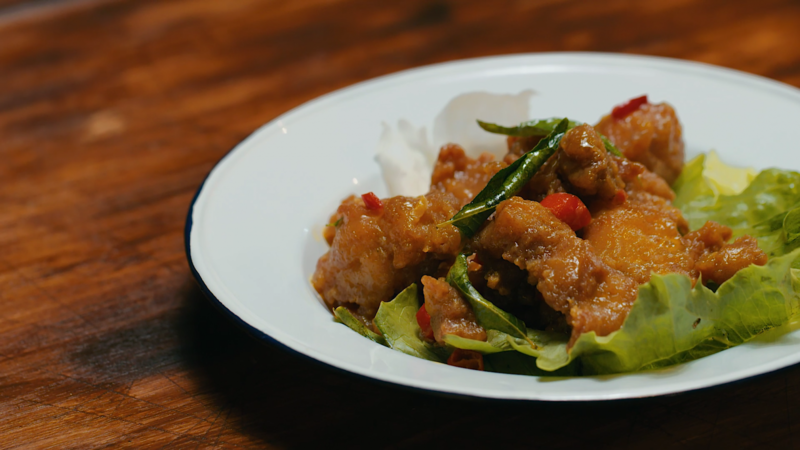 However, this curry strikes the right balance of spiciness that is not overbearingly spicy. The consistency and texture of the curry is also just about right. We highly recommend trying the bread with the curry. It’s a match made in heaven. The bread served here is toasted to perfection and is so crispy we can literally hear the crunch as it breaks apart. 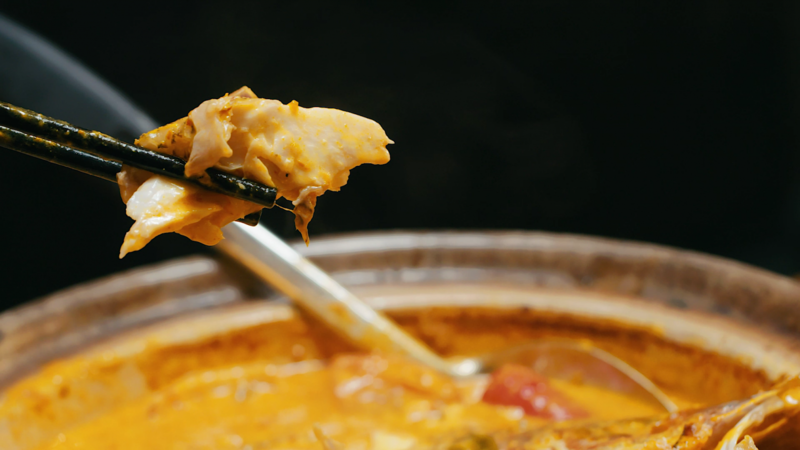 It absorbs the curry so well we just can’t stop eating. Lemak, Lemak, Lemak! 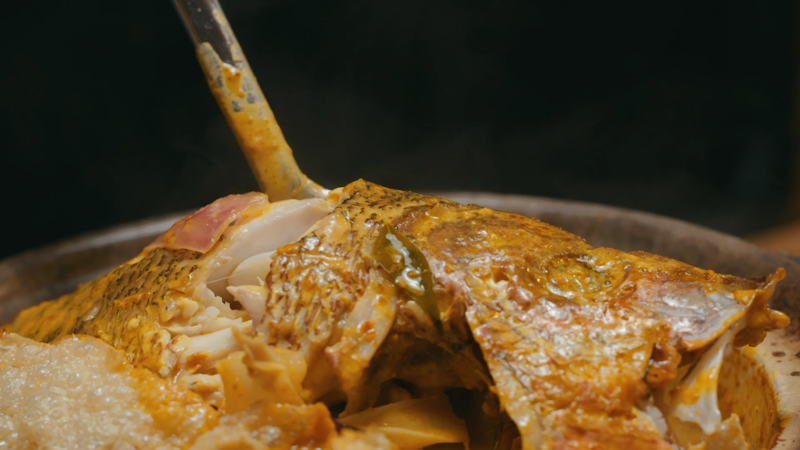 Our next signature dish is the Assam Fish Head Curry and it is visually colorful and palatable just by looking at it. We like how it taste thicker and less sour than most Assam curry dishes elsewhere. Thus, we recommend this one to those who doesn’t fancy eating Assam. You will probably like this version better like Ryan. Another plus point is the price; This is definitely as cheap or cheaper than most Assam fish head curry out there in Singapore. Go try it! 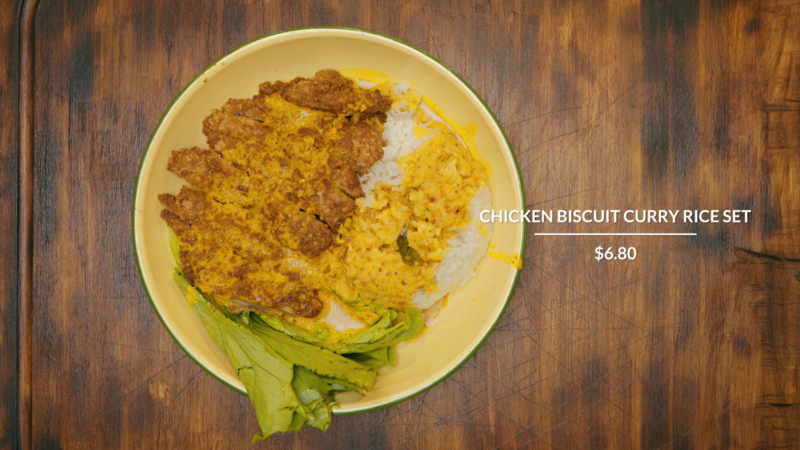 Next up is Fu Xiang’s Chicken Biscuit Curry Rice. As the name suggest, the chicken here is battered with crushed biscuit bits and is actually taken from a recipe in the 70s. 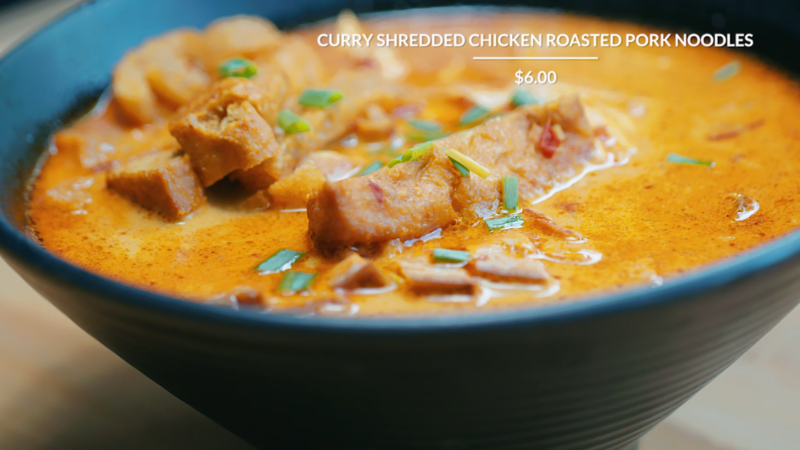 Wow, the curry and chicken goes oh-so-well together! It is unlike anything we have tasted before. 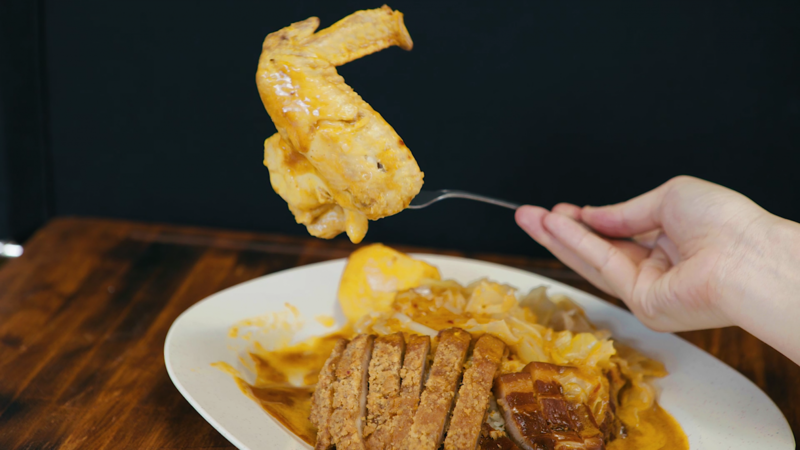 There is this unique taste which comes from the sweetness of the biscuit, coupled with the crispiness of the chicken drenched in thick curry sauce. 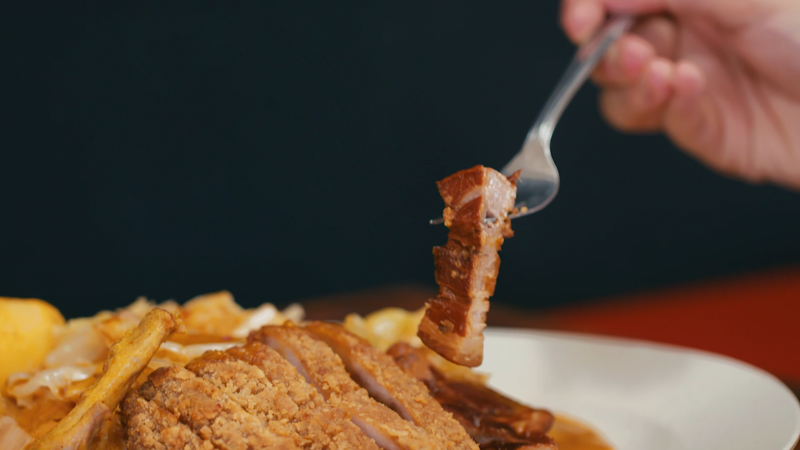 Imagine this to be our Singapore’s take on the Japanese Tonkatsu (Chicken Cutlet). We simply love it! 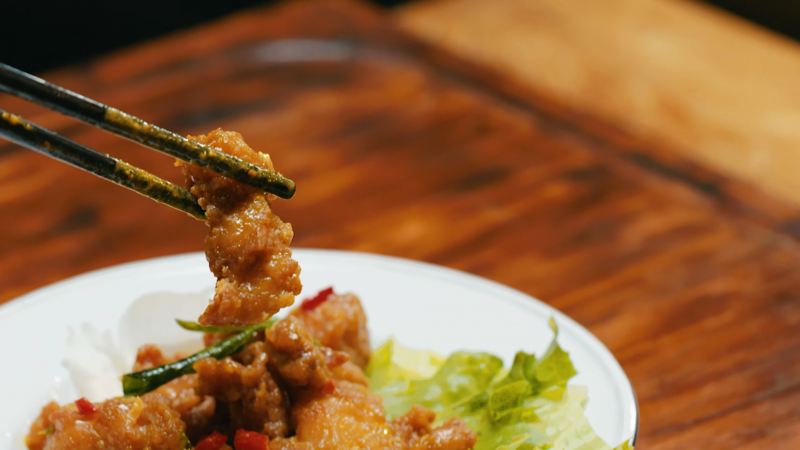 Our final dish here is the Emperor Cream Sauce Chicken. And no, this is not salted egg. Enough of that already! 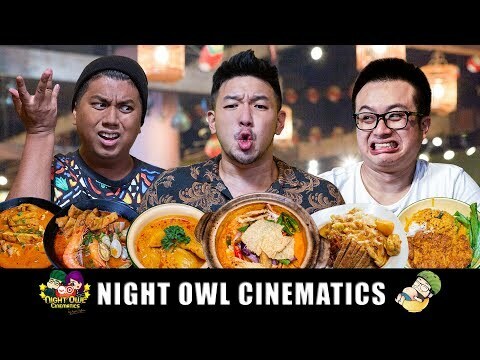 No more salted egg with anything and everything for once alright! To be fair, there is actually a tinge of salted egg in here but the cream does well to balance out the flavor. We like how they added some chilli padi which brings a nice spicy feel to the it. 2. 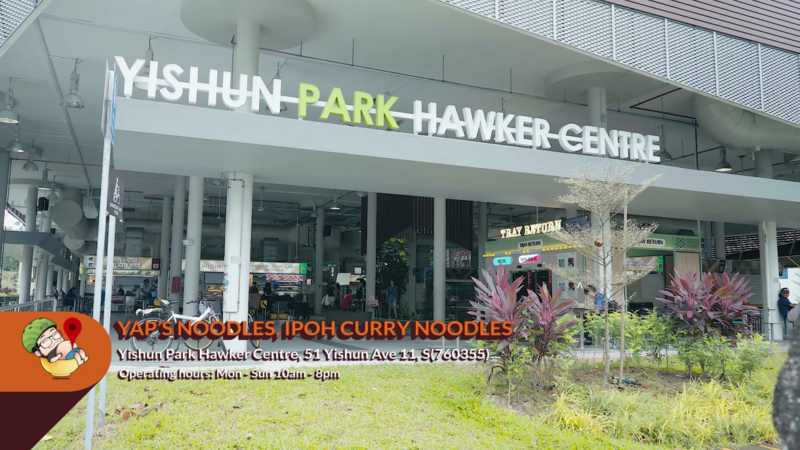 Our second destination is Yishun Park Hawker Centre where we will be trying 2 curry noodle dishes from Yap’s Noodles stall. This is Ryan’s favorite curry noodle place and he said it is amazing. We shall see if he’s right. First up is the Chicken and Roasted Pork Curry Noodles. 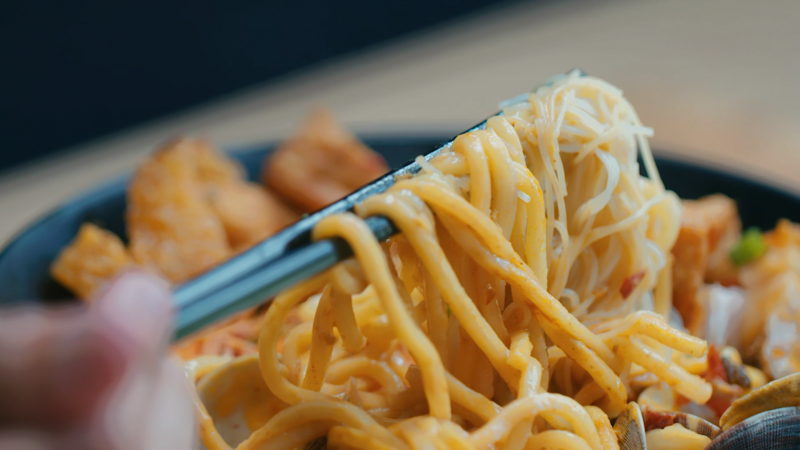 We are really impressed with the amount of ingredients that goes into this humble bowl of curry noodles. Must be an Ipoh thing eh? 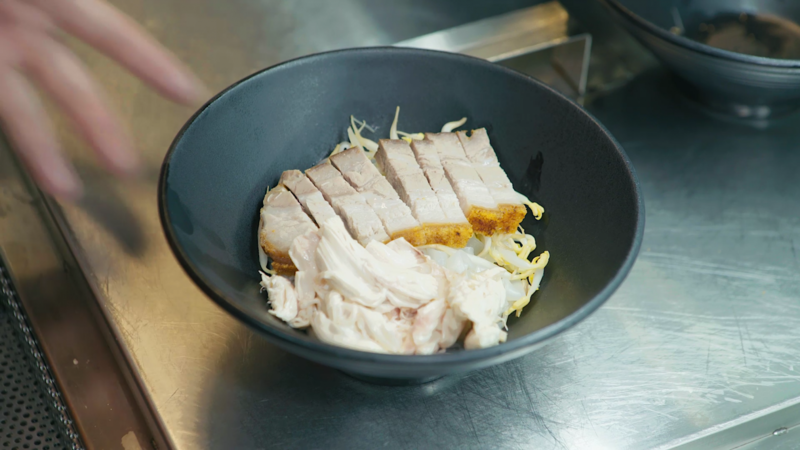 We have generous servings of shredded chicken, roasted pork, Tau Pok, vegetables, spring onions and of course the yellow noodles topped with curry. 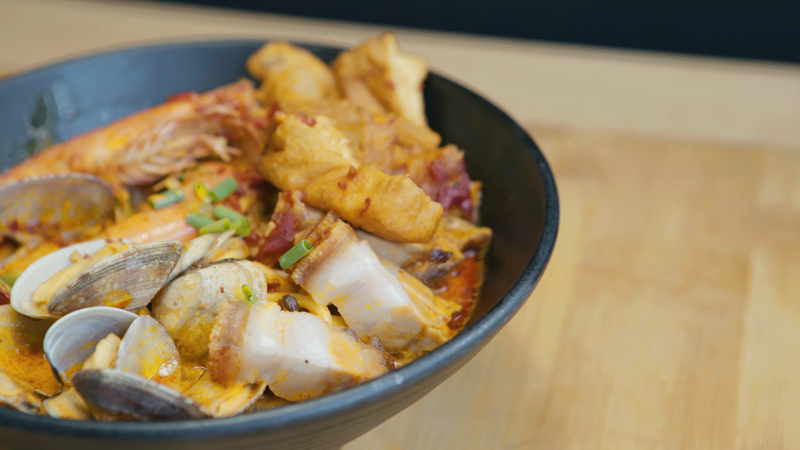 Now comes their limited edition signature bowl: the Seafood Curry Noodles. Why limited edition ah? 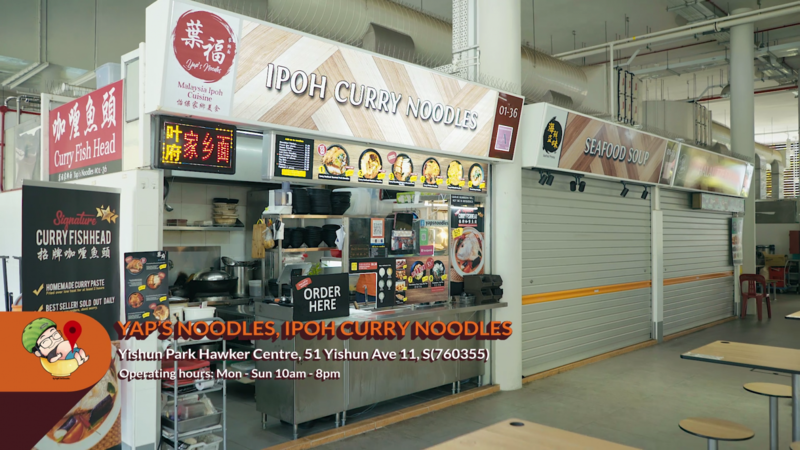 Because this stall only sells up to 50 bowls per day. So do come early if you want to try this. 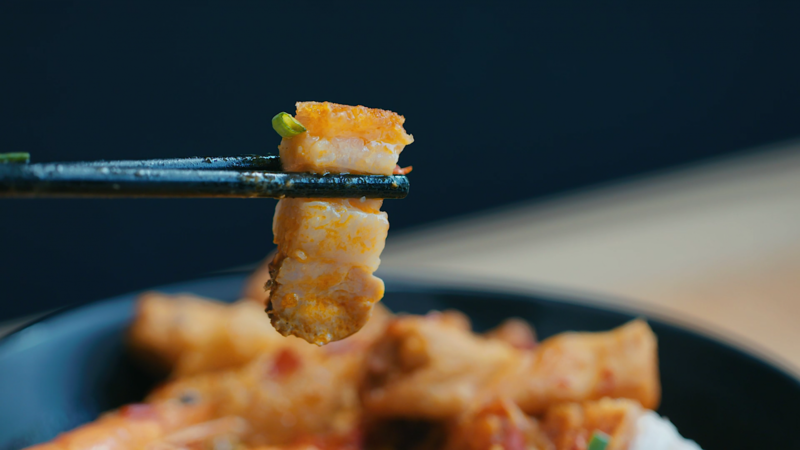 Just like the curry noodles, this one packs an array of ingredients as well. 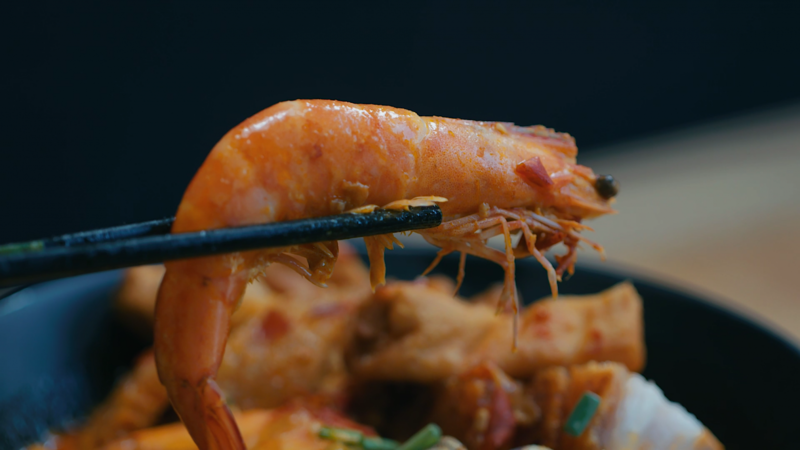 Juicy prawns, clams, whole roasted pork, noodles and curry broth. Really value for money. The soup broth is on the watery side but it is very spicy and does pack a real punch. 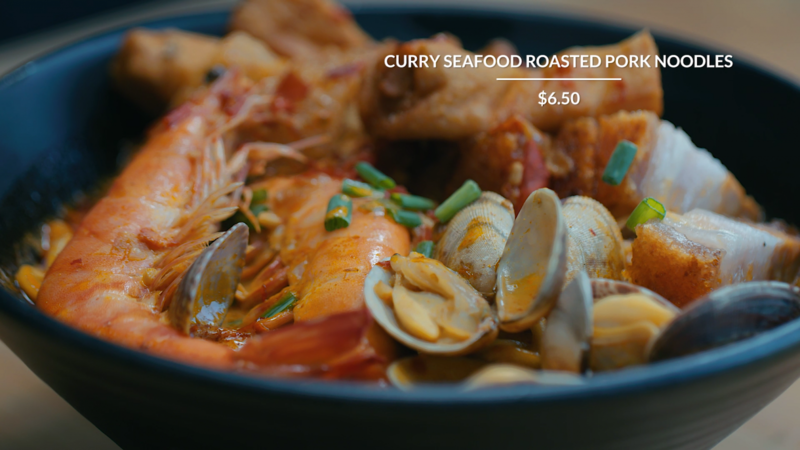 Overall, we like this a lot because of the generous amount of seafood ingredients and it is only $6.50! Where to find! Dee Kosh is loving it. The Chinese side of him is finally coming out. Stop hiding Dee! Come out ok? 3. Finally, we are back in the west for some yummy curry rice! 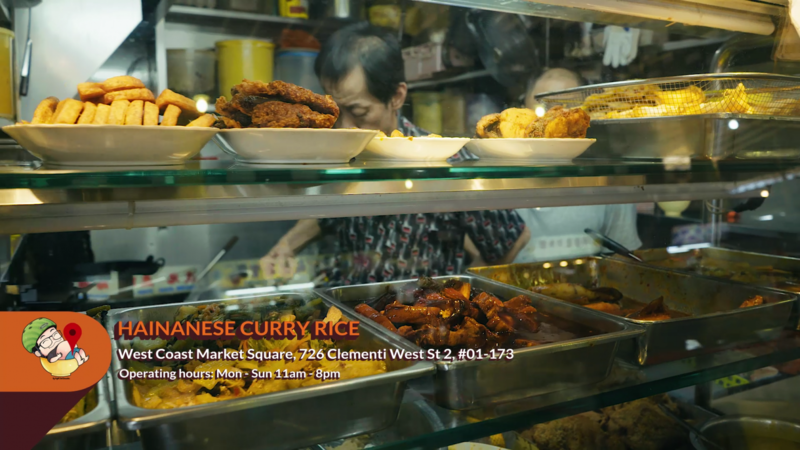 Hainanese Curry Rice will be our final star of this episode and we hope Ryan is spot on with his recommendation. Will this be Food King Good? Curry Peng, curry Peng, curry Peng. We love curry rice! 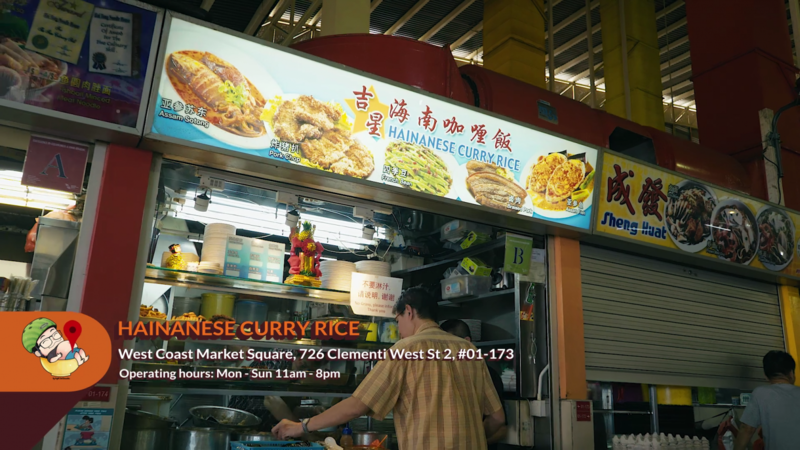 This stall here sells a variety of dishes but we will just be trying their standard curry rice because Ryan says the rest are not that fantastic. 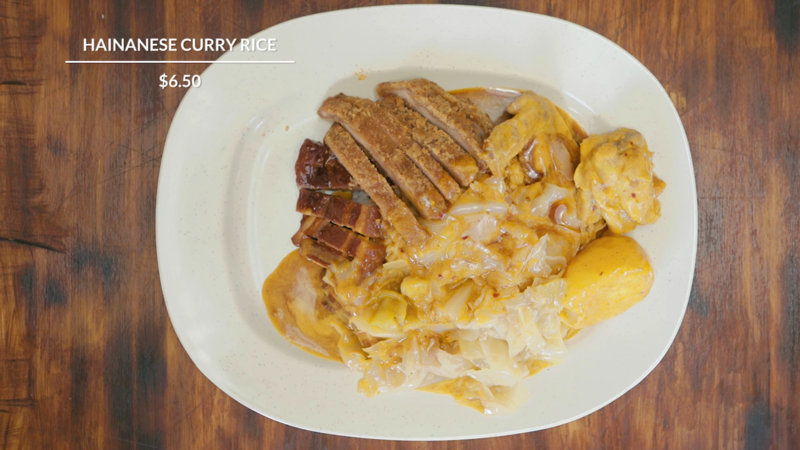 This version comes with Lu Rou (Taiwanese braised pork), pork chop, curry chicken and cabbage drenched with curry and braised pork sauce. 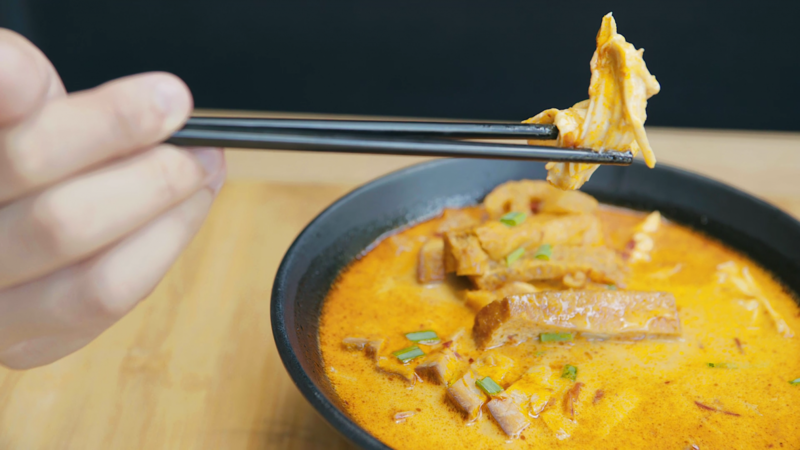 We like the thicker version of this curry and they doesn’t overdo the braised pork sauce like how most curry places do. So more curry and less braised sauce, just how we like it. The cabbage is also sweet enough to take away to saltiness of the Lu Rou; a wonderful and balanced blend of flavors all in one plate. Hip-hop curry on! We have come to the end of the episode and we hope you enjoyed all our dance, erm I mean food. Before we go, let us all do the curry dance, Food King edition! Are you ready? Click the video below now to learn the curry dance! 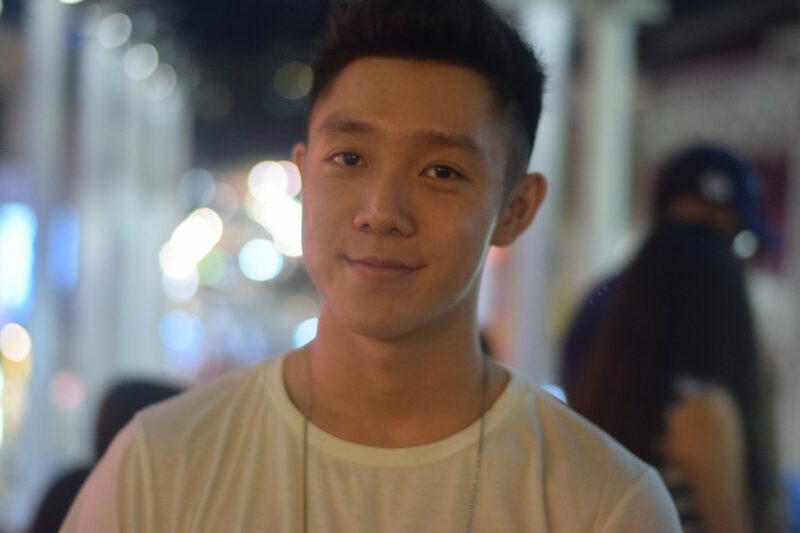 Also, before we end the article, here’s a shout out to one of our partners – EL Print SG (https://elprint.sg/)! 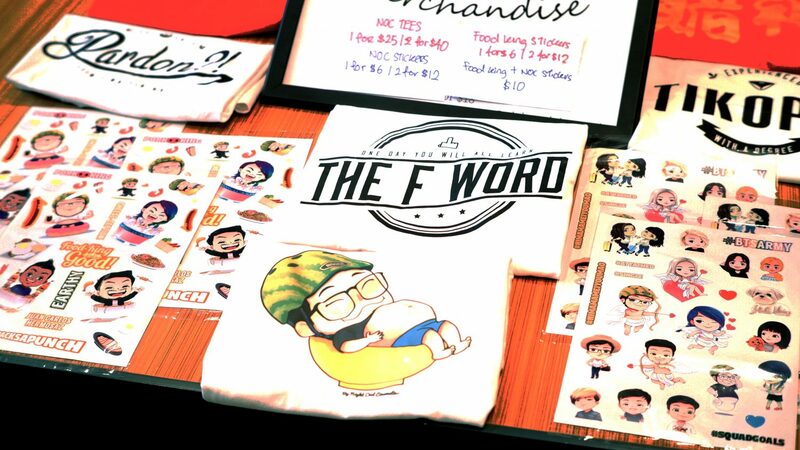 The reason for this special mention is because they have been helping us out with all the tshirt and stickers printing all this while, and we have recently ordered a new batch of Food King stickers from them! 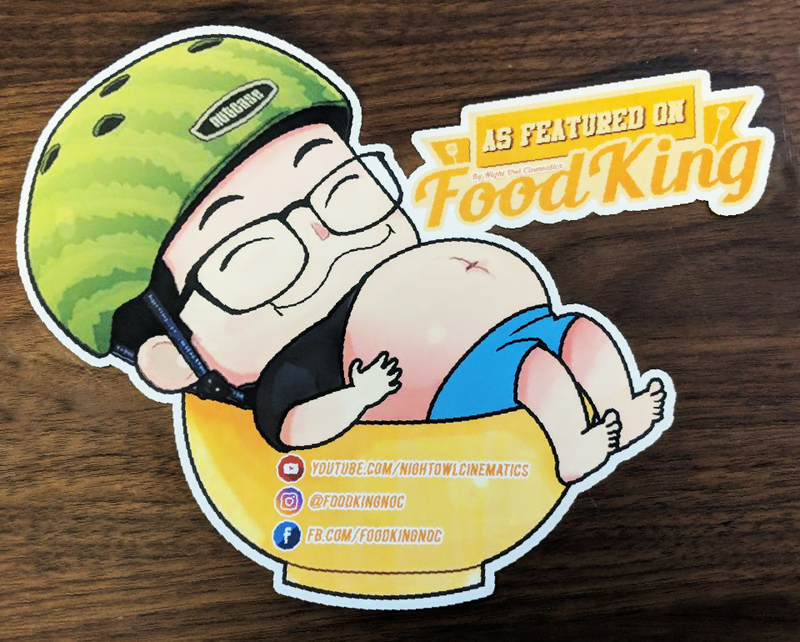 But not only that, we are also introducing stickers for food places that are featured on our show and will be proceeding to distribute these stickers to those who were unable to get 3 stars! 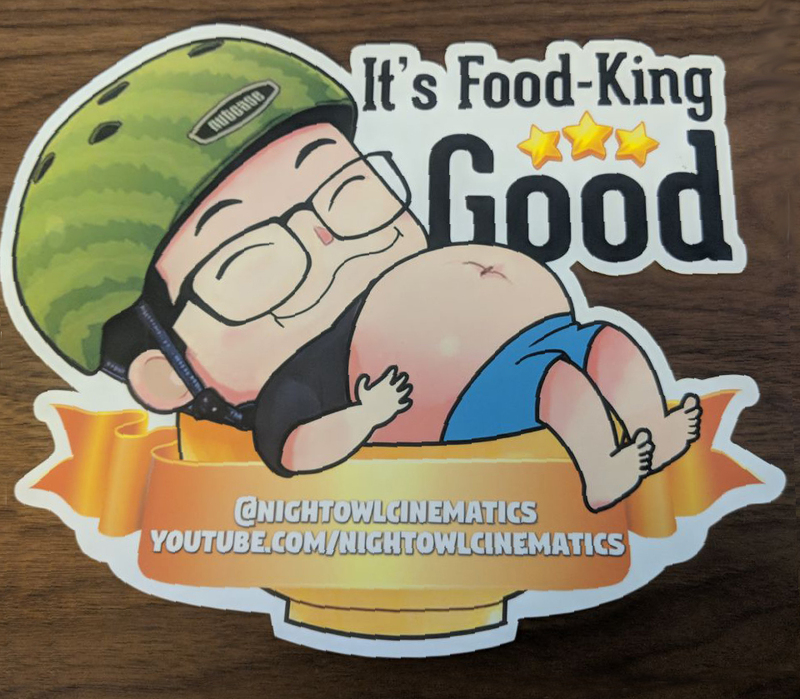 And other than these stickers for Food King, if you have ever attended our Meet and Greet sessions, you might have noticed that we had stickers for sale. Trust us when we say that the quality of their work, be it the tshirts or stickers, is highly satisfactory, so do approach them and get their quotation if you are looking to get tshirts or stickers made! Check them out with the links below!